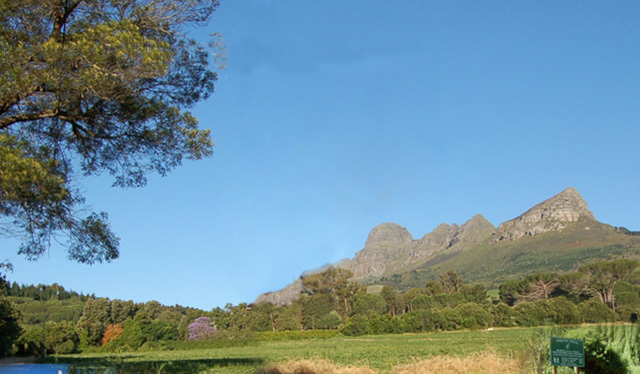 Hike through forests and vineyards on the slopes of the Helderberg Mountains. Enjoy spectacular views over False Bay, Table Mountain and the Stellenbosch Winelands from the lookout platform. The Helderberg Farm Yellow Route passes through a combination of vineyards and forest. Helderberg Farm Trails are open daily from 08:00 – 18:00. Hiking permits are available at the kiosk. Helderberg Farm Yellow Route is 3.6km from the centre of Helderberg , the nearest airport 27.2km (Cape Town International Airport).